We’ve heard of the legend of sewer crocodiles in New York and Florida. These were tall tales that tickled the public’s imagination and feasted on their horror about what could be happening under the streets they walked on daily. The stories usually start with children buying baby crocodiles that are later flushed away when they are no longer attractive and easy to manage. Although these stories were debunked overtime as hoaxes, this was not the case for Taft. Many do not know about the history of crocodiles swimming in the Pasig river; these large snappers had the ability to swim and travel in the different parts of Metro Manila. “Back in my day, we used to have spears in our boats whenever we pass by the waters surrounding Pasig and Malacañang,” recounts 70-year-old Amaya Buwaya. 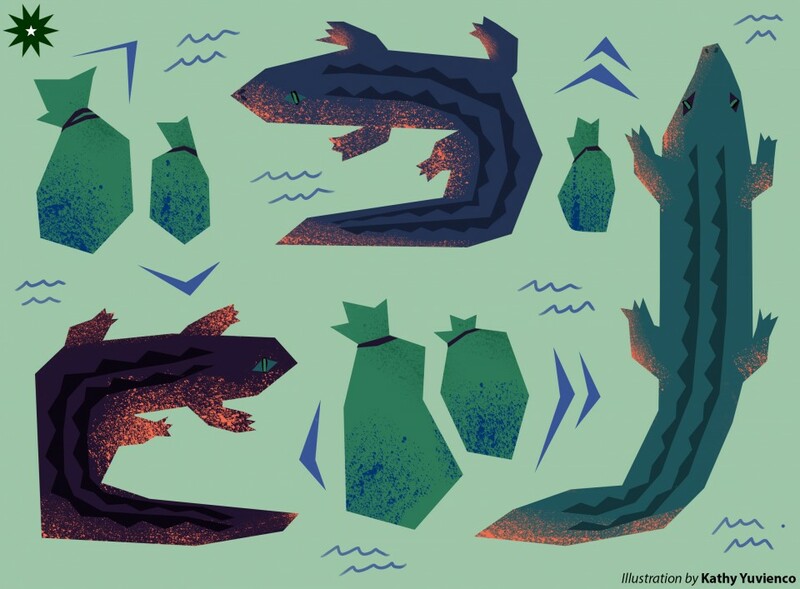 The toothy debacle of crocodiles roaming in the Pasig river might have died down through the years as the waters got increasingly polluted; however, the horror remains. Crocodiles can tolerate cooler temperatures despite preferring warmer weather. There were suspicions that these crocodiles have migrated into our sewers and underground pipes due to their adapting to the increasingly urbanized environment. Although some believe that these crocodiles would not last underground, experts believe otherwise. “I’m not surprised these animals can survive in our sewers. For one, they can live up to a century. Assuming that they have a stable food source such as the rats and the lost pets that swim away in our sewers, it really is a possibility,” says Dr. Hayopka Forver, a zoologist from the Philippine Welfare of Animal Protection and Conservation. Unknown to all, the strong currents of the incessant flooding in Metro Manila brought in one such crocodile into the sewers of Taft. From its rat-infested tunnels to its waste-filled waters, one would not normally think that this horrific place could become a forever home for any creature or being. For this adorable toothy reptile, however, the underground sewage tunnels of Taft felt like home at first sniff. The darkness that shadowed the walls of the sewers were not an obstacle for its survival. In fact, crocodiles are capable of seeing in the dark and are known to be nocturnal hunters. During the years it’s been roaming and exploring the sewer tunnels of the University, this reptile seemed to have experienced great success at acquiring enough nutrition to sustain itself and abstain from hunger. Despite being displaced in a foreign land, happiness still came often for the crocodile as it always made friends with the rats it catches for its meals, often playing hide-and-seek with them and the rat inviting the lonely crocodile to a family get-together before promptly becoming the crocodile’s dinner. When the crocodile was first encountered by a sewage maintenance officer, it was reported that it was massive in size and weight. Because all the trash, feces, conyos, and rats infesting the sewers, it didn’t come as a surprise that this creature grew exponentially. Still, the question remains, why hasn’t anyone seen this crocodile until now? Further investigations into this case revealed that this beauty can’t actually receive any exposure to sunlight without getting burnt or, worse, dying. After years of living in the tunnels, it would seem that the biological composition of this crocodile has shifted to adapt to the environment in the sewers and has since become more sensitive to the sun. The discovery of a scar that bears a striking resemblance to a badly peeled sunburn proves that this crocodile may actually be at risk for a life-threatening experience when exposed to sunlight. Principal investigators of this crocodile case have arrived at a conclusion that this reptile may have spent years holed up in the sewer tunnels afraid of the sun, fearing the burning sensation and tantalizing light brought by the glorious inferno that is the heavenly burning orb in our sky. Choosing to stay underground, rat carcasses and crocodile secretions have piled up, filling the entire sewage system with foul odors and smells. Upon the discovery of the floating mixtures of trash, carcasses, and secretions, sewage system maintenance officials have successfully traced back the root cause of the bad smell that has for the longest time engulfed and permeated every pore of the corner street of Castro. In the interest of accomplishing two goals—eliminating the foul stench surrounding Castro and Techtite and learning more about the survival skills of reptiles living in sewage wastes—the administration has decided to adopt this red-eyed, off-white, almost a Lacoste-twin crocodile, while bestowing the creature with a fitting name, Cerwan— “the fat croc inside…the sewers”. To ensure his survival in the outside world, the University also decided to create a special place for him inside the STRC building. There, Cerwan will still be able to continue his hobby of flossing and eating, as well as be attended to by the De La Salle University-Charming Reptiles Over Cat Sneezes, a team of Lasallian professors and students who are advocates of reptile preservation and research. With Archer’s recent adoption, Cerwan will be a balm to the student body’s sorrow.